Tired of the Liberal “Snowflake” mentality polluting the air waves, looking for a no holds barred, in your face, attitude not sincerely felt since Pantera, look no further than Project Rogue. No surprise also coming out of the great state of Texas, Project Rogue is simply that, going Rogue, doing your own thing, and standing up for what you believe in. On October 26th, Project Rogue will celebrate their CD release party, for “A Rogue New World”, at Dallas’ own, Gas Monkey Bar and Grill. Outlaw Review’s full staff will be there to celebrate that Cd release. It’s no surprise that Project Rogue chose, “A Rogue New World” as their debut tile, as that is just what they are aiming to create through their music. I had a chance to sit down with this band, featuring Henry “Thunderbass” Diaz on Vocals, and Bass, Gary Dacus drums, Mark Coronado and Joshua Puerta on guitar, to gather insights into the music of Project Rogue and what they are passionate about. Lyrically, this band is not fluff, these guys are not afraid to tackle the issues, from awareness of issues facing our Military Veterans; from homelessness to suicide, to 2nd amendment rights, and the United States constitution, Project Rogue covers it all. 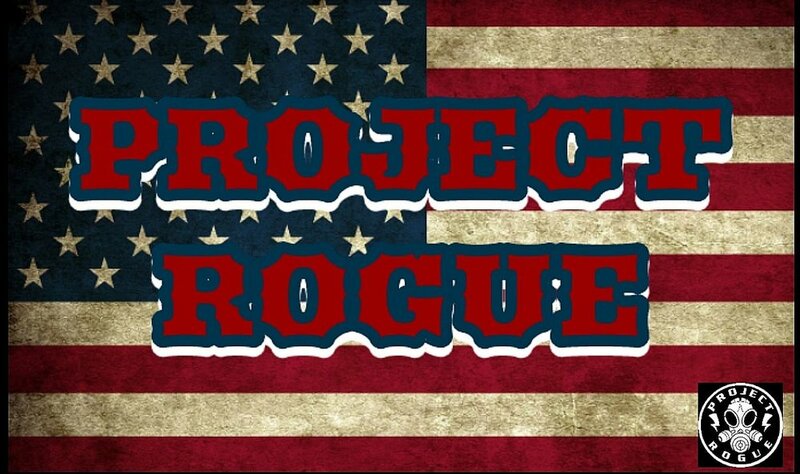 Project Rogue is especially passionate about their beliefs, and caring for our military, and their own drummer Gary Dacus, was a United States Army Sargent. Dacus shared a little bit about this experience with me, and the military following that they have spurred at their shows. Project Rogue is telling it like it is, and you do not want to miss this dose of brutal honesty, Patriotism, and passion felt in both their music, and the sentiments shared in the interview below. For the full interview with Project Rogue, please watch the video below.